Few bands tried to emulate Gentle Giant. So under-rated, Perfect for sweltering hot days. Nice Fretless. 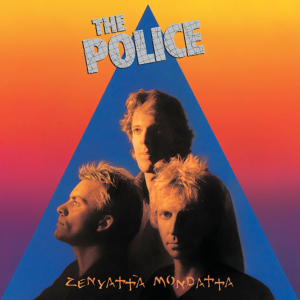 Not listened to the Police in a while. Need to dig out the first 3 albums now. Been listening to Was ( not was) are you okay on repeat for the last couple of days. A great woofer work out. Great bass playing and mental lyrics. I listen to the Police quite regulary. Played an album from Stuart Copelands former band Curved Air yesterday. Curved Air are a great band. But it is incorrect to call them STEWART COPELAND'S band. Copeland came in rather late into the game, during Curved Air's sixth or seventh incarnation. I believe he was on the following "Airborne" lp , and then went to form the Police. Stewart Copeland was originally pulled in as tour manager for Curved Air by his brother Miles Copeland who was the bands manager. Later taking the drum stool over from Florian Pilkington-Miksa after he left for the second time. A recent acquisition is 'Curved Air Live' from 1974. This is a supercharged powerhouse that shows clearly how Siouxsie & The Banshees were heavily influenced in sound and style by Curved Air. Siouxsie later admitted to copying Sonja Kristina's stage attire to create the 'Goth look'. Aretha Franklin: Aretha With The Ray Bryant Combo (1961 originally, but I think my copy follows the 1972 reissue. Her second album but, in effect, her first. My copy is a reissue of a reissue. (CD Ripped) which has a different title but the track listing matches that title. Quality. A simple backing combo... and that voice. some of the subject matter not from the soul cannon (Over the Rainbox).